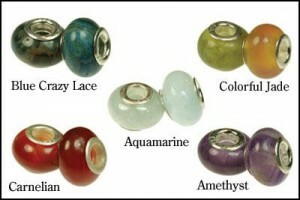 How safe is to invest in Gemstones and Beads in India? Investing capital in gemstones is a very good idea. But with this kind of investments you will have to be knowledgeable, business minded and a very good presence of mind. The value for gemstones keeps on increasing with the rate of inflation. Only in rare cases it happens that the rate considerably drops. An example can be cited of blue topaz. They were in high demand when they came to the market because they were very rare. But, when white topaz came to the market, it took everything over. Since the market may fluctuate and it is hard to predict, try to buy and invest as low as possible. When we mentioned ‘buying low’ we meant looking out for wholesale sources. Research the market well. Get the best deal at the best prices. Search for primary dealers as they mine and do the cutting all by themselves whereas secondary dealers buy from other wholesalers and resell them. 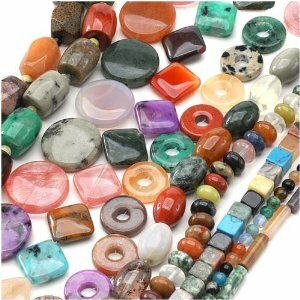 Today the internet has also come up with a number of sites that sell gemstones at a wholesale rate. If you have sources you may shop from flea markets, pawnshops and estate sales as well. You must also have good knowledge about the gems and its authenticity so that you may differentiate the natural for synthetic ones. Your need not restrict your investments to cut stones. Rough gems, mineral specimens and finished jewelry all hold potential for investment too. The two most sought after areas where gems take a considerable leap in price is: between rough and cut and the other is loose gems and finished jewelry. You need to put in a lot of effort to enjoy the desired outcome. Be tricky and learn to manage time. Buy the rough stones at a reasonable price and turn the low values rough into high value finished gems! This entry was posted in Gemstone Beads India on September 2, 2013 by adminf1.